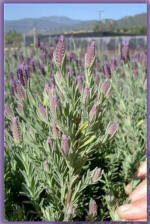 Lavandula stoechas ‘Winter Bee’ uspp#20840 Pride of Place Plants Inc. 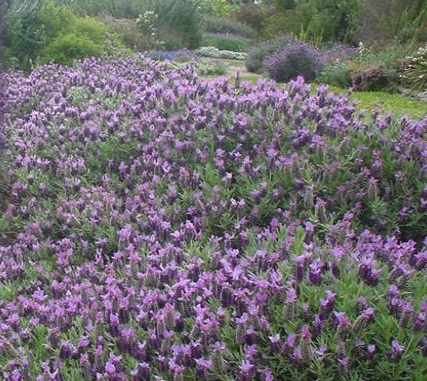 If your looking for a compact massive ball of bumble bee likefragrant lavender flowers to stop you in your tracks, look no further! (Flower spike is 3cm and bract is 1cm). 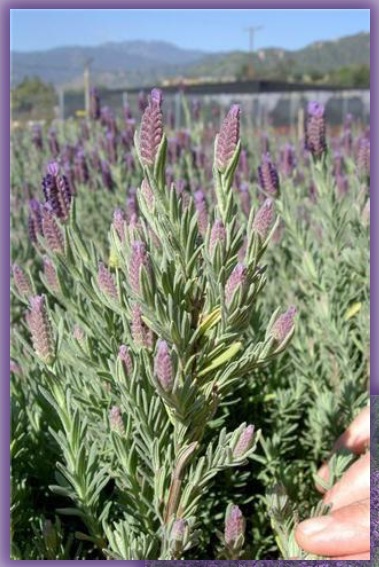 Lavandulastoechas‘Winter Bee’has an amazing immense bundle of “Sea Lavender” (# 6 37/ 2) colored flowers, on sage green foliage (ooo861/1).The new growth and flower buds continuously appear on a 30cm (12 inch) high rounded perennial. Blooming likely 3 weeks earlier in Spring than other stoechasvarieties.